Russia carried out the first successful flight test of a new anti-satellite missile this month, marking a new phase in the global militarization of space. The flight test of Russia’s direct ascent anti-satellite missile, known as Nudol, took place Nov. 18, according to defense officials familiar with reports of the test. It was the first successful test in three attempts, said officials who spoke on condition of anonymity. With the successful anti-satellite missile test, Russia has joined China in arming its forces with strategic space warfare weapons. Twenty days earlier China conducted a flight test of its anti-satellite missile. The Dong Neng-3 direct ascent missile was tested on Oct. 30 in western China. A Pentagon spokesman had no immediate comment on the Russian missile test. Air Force Space Command commander Gen. John Hyten warned this month that both Russia and China are developing space warfare capabilities that threaten critical U.S. satellites. "They are developing capabilities that concern us," Hyten said, according to a report in the Colorado Springs Gazette published a day before the test. Little information is available on the secretive Russian program. 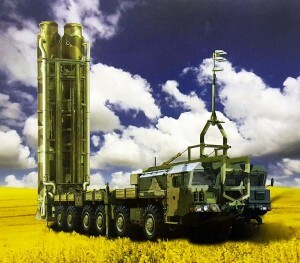 However, as with China, the Russian direct ascent missile appears linked to its missile defense programs. Russian state-run press reports have identified the mobile transporter-launcher for what is described as "a new Russian long-range missile defense and space defense intercept complex." The weapon is "being developed within the scope of the Nudol OKR [experimental development project]," Novosti reported in 2014. The new weapon is being developed by the Almaz-Antey Air Defense Concern. Hyten, the Space Command commander, said he does not want to see conflict extend to space but also noted "we have to be able to defend ourselves." Hyten said several nations, including Russia, North Korea, China, and Iran, are developing anti-satellite capabilities. Analysts say the space threat to satellites highlights a strategic vulnerability. With as few as two dozen anti-satellite missiles, Russia or China could cripple U.S. intelligence, navigation, and communications capabilities that are critical for both military operations and civilian infrastructure. Rep. Mike Pompeo (R., Kansas) said the Russian test is a concern. "As President Obama cuts our defense budget and seeks to ally with Putin, the Russians continue to develop their technological abilities to weaponize space and to take out our national technical means—kinetically and through cyber," said Pompeo, a member of the House Permanent Select Committee on Intelligence. "We can foolishly turn a blind eye to these developments, or acknowledge this threat and develop our own capabilities to ensure that our satellites—military and commercial—are not susceptible to attack or blackmail," he told the Washington Free Beacon. "There is an enormous asymmetry in play regarding space weapons," said Schneider now with the National Institute for Public Policy. "For decades the Congress has prevented the U.S. from putting weapons in space and even developing a ground-based ASAT capability," Schneider said. "There is no such constraint upon the Russians and Russia violates arms control treaties when this is in their interest to do so and they find ample opportunity to do this." A February 2015 unclassified Defense Intelligence Agency report to the Congress stated that "Chinese and Russian military leaders understand the unique information advantages afforded by space systems and are developing capabilities to deny U.S. use of space in the event of a conflict," Schneider added. Pavel Podvig, director of the online Russian Nuclear Forces Project, said a graphic image depicting the Nudol was posted on a Russian website. "The information is scarce, but as far as I can tell, Nudol is developed as a component of a missile defense system," Podvig said. 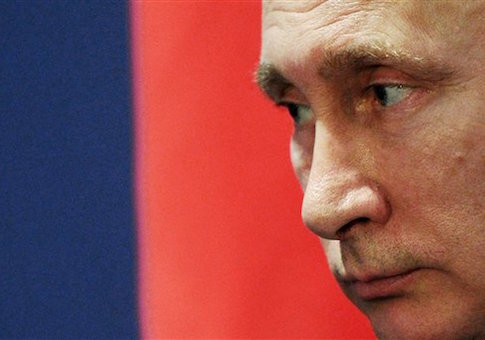 "It may be related to the program that would upgrade the Moscow missile defense. It might be part of the project known as Samolet-M."
The use of the Nudol to hit satellites is possible, according to Podvig, who noted the American use in 2008 of a modified Navy SM-3 anti-missile interceptor to shoot down a falling National Reconnaissance Satellite. However, Podvig says the Nudol system appears to use stationary radar that would give it a limited anti-satellite capability. 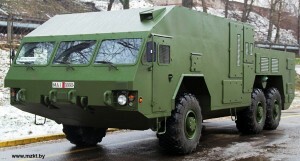 The mobile image posted online would indicate the system is movable, but without mobile radar it would be limited to hitting satellites that pass over Moscow. Moscow recently announced plans to upgrade its Moscow missile defense system, which uses nuclear-tipped interceptors. Col. Andrei Cheburin, commander of Russia’s missile defense battalion in the Aerospace Forces, told the Russian radio on Saturday that missile defenses are being upgraded. "Very soon we will receive an upgraded missile defense system with new means of destruction, thus fulfilling the task of providing missile defense for Moscow in any environment," he told Russian radio, the state-run Interfax news agency reported Monday. The Obama administration has been vocal in opposing China’s anti-satellite weapons development but has made no mention of the Russian program. State Department spokesman Blake Narendra said: "We do not comment on intelligence matters." State Department officials in the past have said China’s development of space weapons is destabilizing. "The continued development and testing of destructive [anti-satellite] ASAT systems is both destabilizing and threatens the long-term security and sustainability of the outer space environment," Frank Rose, assistant secretary of state for arms control, verification and compliance, said in February. China has conducted several tests of anti-satellite weapons, including a 2007 test that left tens of thousands of pieces of dangerous debris floating in space. The debris continues to threaten both manned and unmanned satellites. Meanwhile, a polar-orbiting National Oceanic and Atmospheric Administration satellite, NOAA 16, broke up in space mysteriously last week, according to the Air Force’s Joint Space Operations Center. "The cause is still unknown at this point," said John Leslie, a NOAA spokesman. Air Force Space Command spokesman Nick Mercurio said no satellites or other objects were detected near the NOAA 16 prior to the breakup on Nov. 25. The debris currently is not posing a risk to other satellites, he said. This entry was posted in National Security and tagged Military, Russia. Bookmark the permalink.